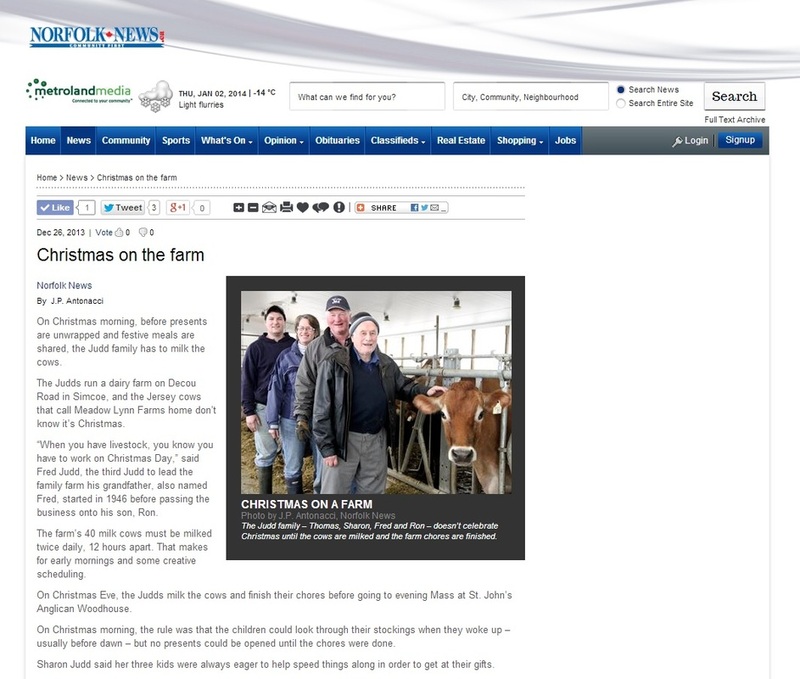 Steven and Chris visit a local dairy farm! Find out what happens at our house on Christmas, and any holiday for that matter. Check out this video to get an idea! Every year, at the Simcoe Rotary Friendship Festival, Meadow Lynn Farms provides the cows for the "Cow Paddy Bingo"
This year, the event will take place on Monday August, 5 at 1:00 pm. Get your tickets early! please check out the Friendship Festival website for more details. Sharon is always cooking up something new in the kitchen! 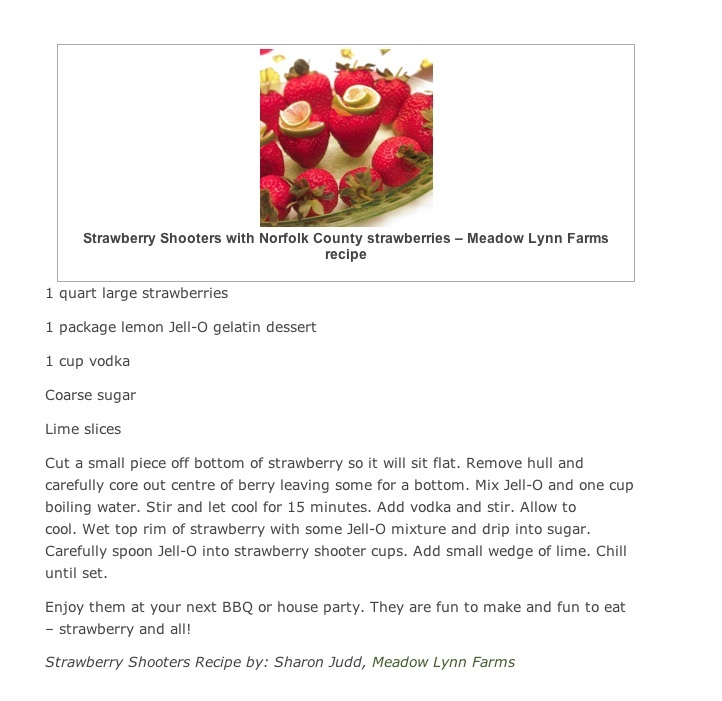 Last year, she tried Strawberry Shooters, - with or without the Vodka, they taste great! The Blue Elephant Features Meadow Lynn Farms Strawberries on tap at their Brew House. Unfortunately, it is already sold out for the season! 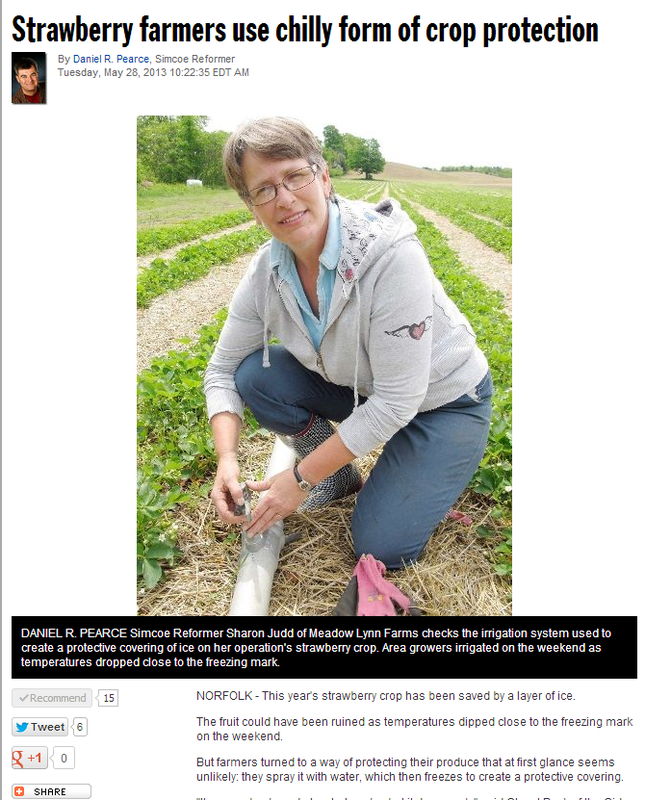 For the full feature of Strawberries in Norfolk, check out the link by Norfolk Farms. A chance to visit our farm and have some fun! Please email Erica if you would like any photos! Also Free Strawberries and Ice Cream for all!